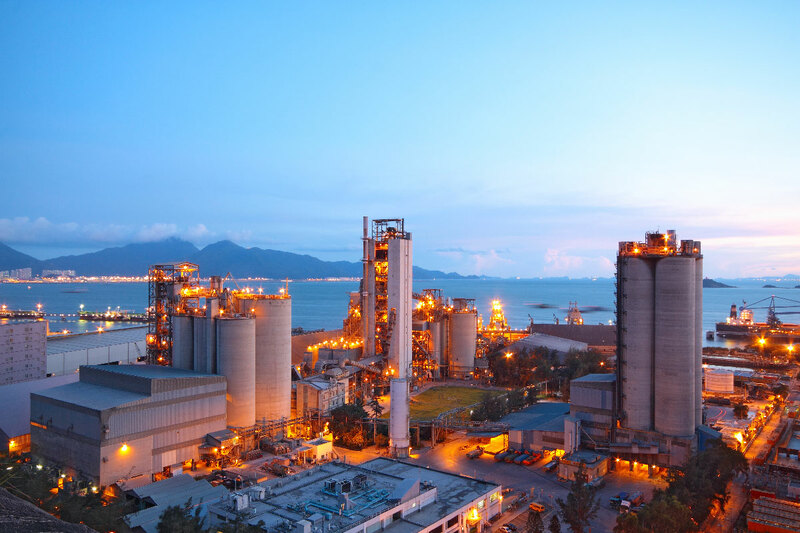 Cement manufacturing requires raw materials to be heated to 1450°C and is thus rather energy intensive, even if thermal energy only accounts for approximately 35% of the cement industry’s CO2 emissions. Continuous improvements to production facilities have almost halved our energy use since the 1960s. Most European plants now use state-of-the-art technology. The few remaining older wet kilns will be replaced by more modern plants and concentration of production in fewer, larger, plants will lead to further reduced energy consumption. Waste Heat Recovery systems are being investigated and should be encouraged. The lifetime of cement kilns is usually 30-50 years. New kilns are therefore predominantly built in places where market growth potential is thought to be substantial. Therefore, in the past decade most new plants have been built in Asia, Africa, the Middle East and some parts of Eastern Europe. Often after 20-30 years, most of the original equipment (e.g. preheater cyclones, clinker cooler, burners etc.) has been replaced and plants are constantly being fitted with modern technology. This is typically the case in Europe, where kilns are relatively old but still efficient. The average size of kilns in Europe and North America is around 0.9 to 1.1 million tonnes of clinker production per preheater kiln with precalciners (PH-PC), compared to 1.9 million tonnes of production per site per year in Asia. Under optimised and regular conditions, the best energy efficiency today – around 3,300 MJ/t clinker – can be achieved with preheater kilns with precalciners (PH-PC). Modern PH-PC kilns have a higher production capacity than older installations, which also contributes to greater energy efficiency across the sector. Long dry kilns without preheater towers consume around 33% more thermal energy, and old wet kilns consume up to 85% more energy than PH-PC kilns. Continuous innovation in production methods will reduce energy use over time, thus overall energy use in Europe is expected to decrease as the few remaining wet plants are phased out, average kiln size increases and incremental innovation is implemented. Another area where progress can be made is Waste Heat Recovery (WHR). Already common in China because of a specific plant design, newly built or retrofitted plants in Europe could be equipped with WHR systems and use the heat power generation, provided that installing a WHR system is viable. The main limit to using WHR is the initial investment and a long payback period, although this is dependent on local electricity costs. Many thermal energy-reducing measures cause an increase in power consumption. For the time being, the dry process with multistage preheating and precalcination technology is considered state-of-the-art. Breakthrough technologies that could lead to significantly higher thermal efficiency are not yet in sight. Furthermore, the increased use of alternative fuels can negatively affect energy needs per tonne of clinker when they have higher moisture content and/or lower overall heat content. Possible other uses of waste heat, like co-generation to generate power or dry algae might also have an impact on power consumption. Taking into account the increased use of alternative fuels, average thermal energy consumption per tonne of clinker is expected to reach 3.3 GJ/tonne by 2050. Provide access to R&D funds to stimulate breakthrough technologies. Support a shift to waste heat recovery (WHR) and facilitate this through an efficient and speedy permitting process. Adopt a policy that provides WHR with an equivalent support mechanism as Combined Heat and Power (CHP) and renewable energy, such as Energy Efficiency Certificates as already available in a few Member States (e.g. Italy). WHR should not be disincentivised by tax on generated electricity. 1 Development of State of the Art Techniques in Cement Manufacturing: Trying to Look Ahead (CSI/ECRA-Technology Papers), State of the Art Paper No 1: Thermal efficiency of cement production: state of the art and long-term perspective.